Home / Skirts & Petticoats / Long Lycra Cut Away Stripper Skirt with Opening Side Buckle. Looks great with the matching Micro Bikini Sets. Buckle can be placed on either hip or in the Centre front. Many more Sizes and Colours in Store at Siren Doll. Ring Helena with any questions on 03 9416117 12 midday to 5.30pm every day except Sundays. Unsure about a colour Helena can SMS you a pic. So give me a call. Fishnet Spaghetti Shoulder Straps with Open Crotch Body Stocking. 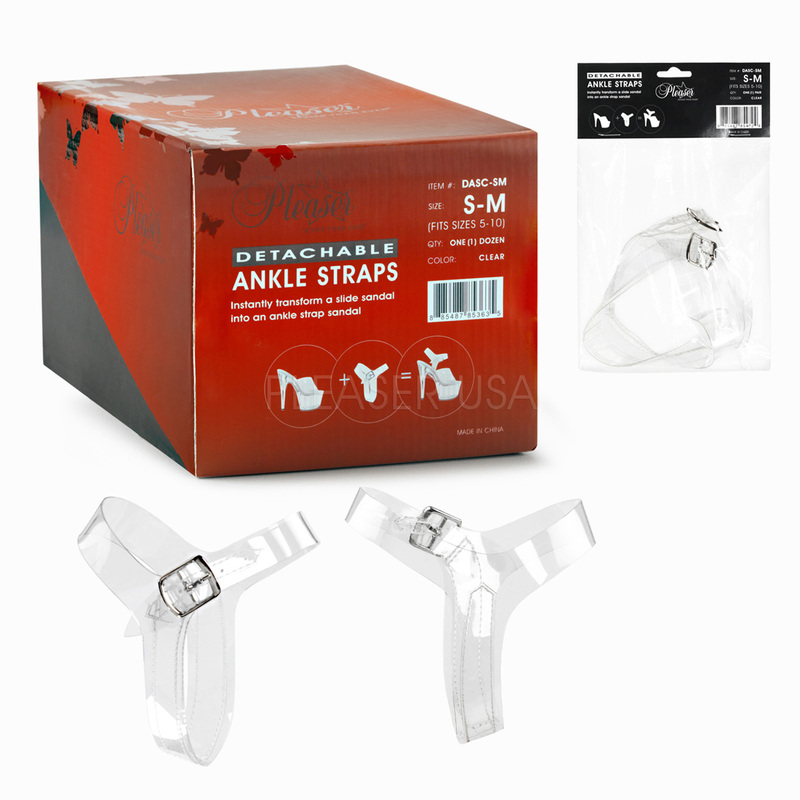 Pleaser Pair of Clear Detachable Ankle Straps.